A unique chance to visit Mistrà, a city where time has stopped and where we are enveloped by the evocative atmosphere and the wonderful remains of the Byzantine Empire. Leaving the port behind us, we depart for Mistrà, a remarkable Greek city of rare beauty, built on a rocky outcrop of Mount Taygetus. This now uninhabited medieval city dominates the valley and the modern city of Sparta. A UNESCO World Heritage Site, Mistrà is an open-air museum, with churches, fortresses and Byzantine palaces which evoke stories and legends of its medieval kings and governors who lived here 600 to 800 years ago. Our guide accompanies us to the lower part of the city through paved, arcaded streets that add to the peaceful and almost surreal beauty of the place. 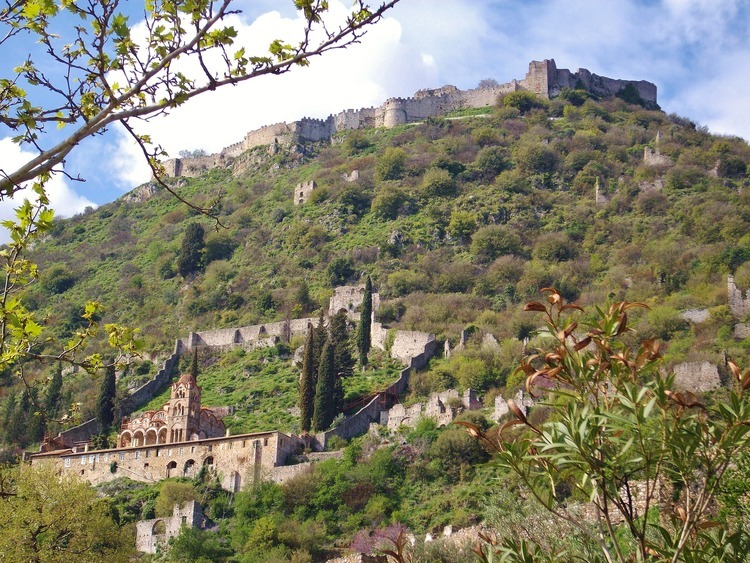 Here we are enchanted by the buildings, the churches with their magnificent frescos and the monasteries, a testament to the glorious past of this ancient stronghold of the Byzantine Empire.